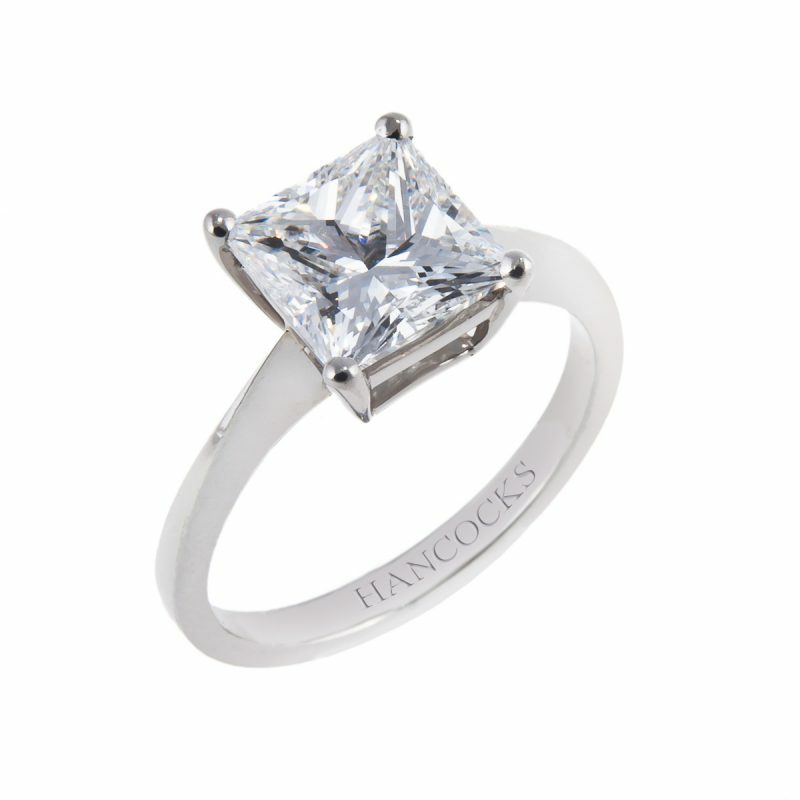 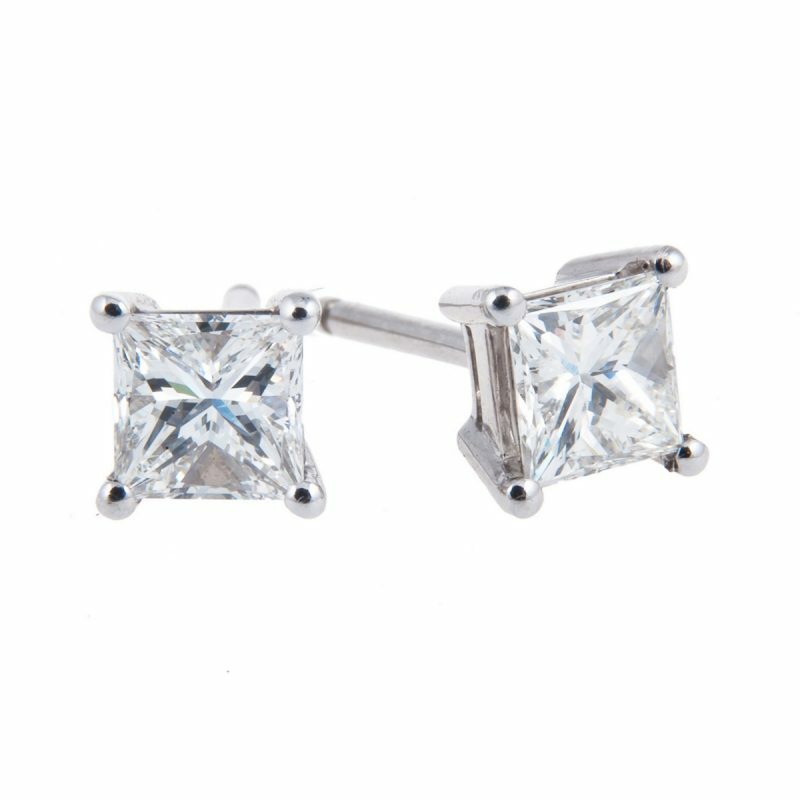 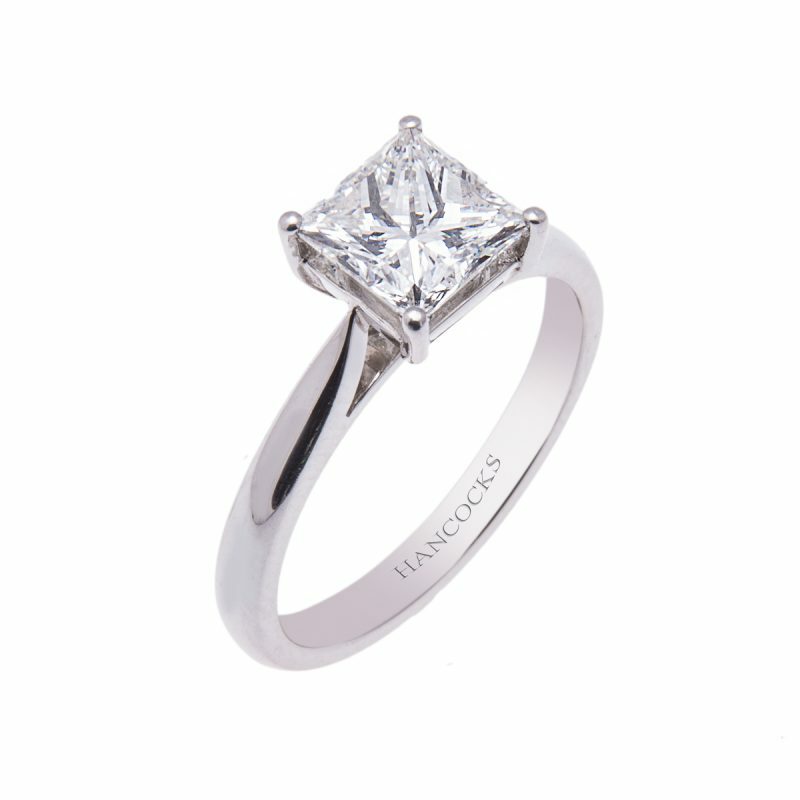 GIA Certificated princess cut diamond single stone ring mounted in a platinum handmade setting. 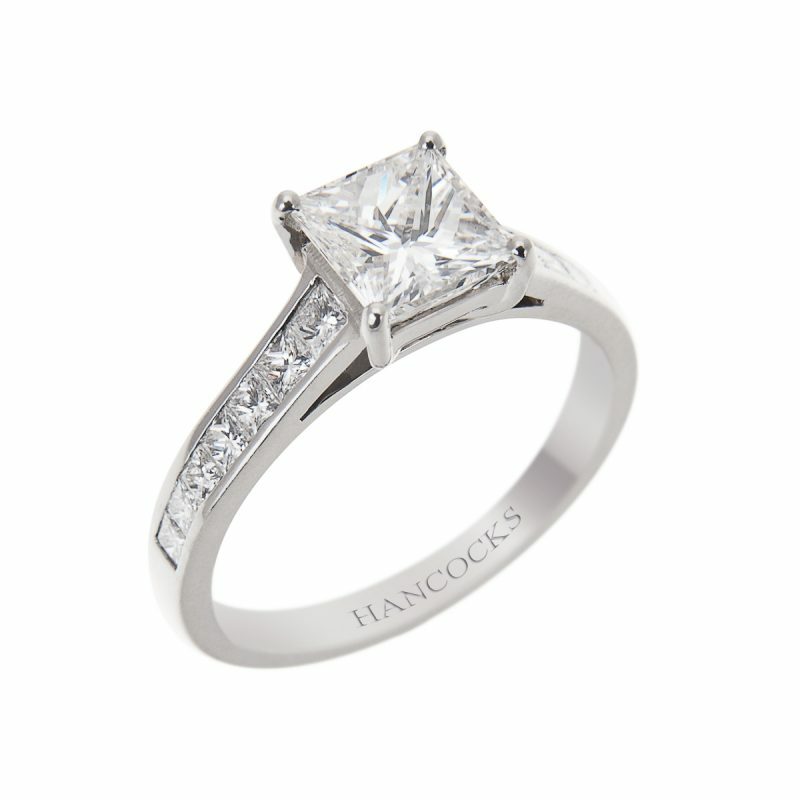 The princess cut diamonds unique cut exhibits the stunning brilliance you would expect from a round cut, complemented by the elegant shape of a square cut, making it the perfect choice for an engagement ring. 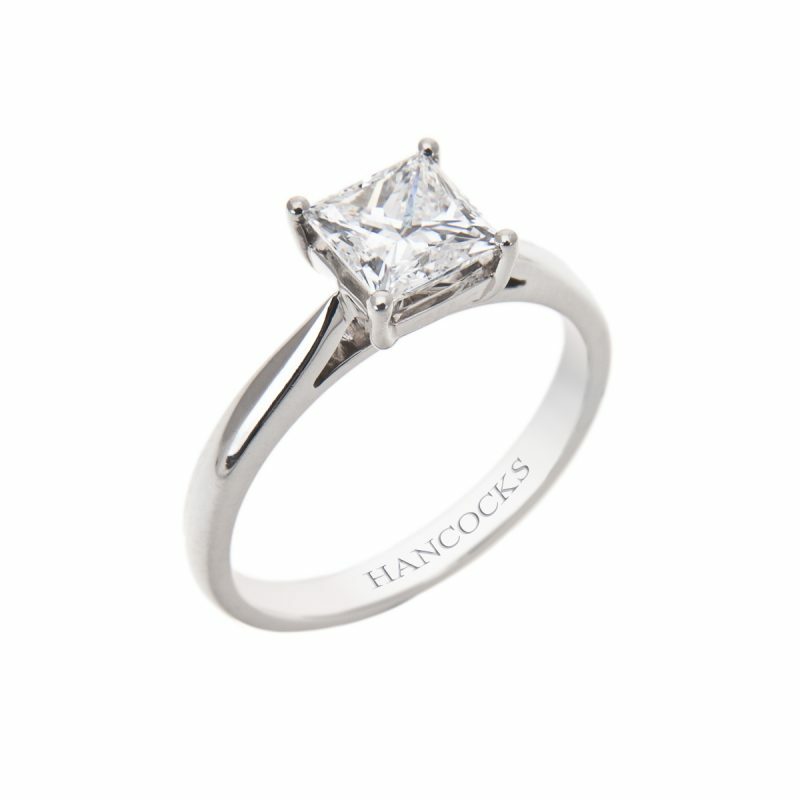 This stunning example has been certified by the Gemological Institute of America, world leaders in diamond grading and has been simply set in a platinum 4-claw wire setting to allow the natural beauty of the stone to shine.